I'm beginning to write the pattern for this quilt, and all should be done by the end of August. Perfect timing, I think, for my first blogiversary! Is it okay to be totally infatuated with your own design? I hope so. I can't stop staring at this quilt! I had the same problem with all these HSTs too. They sat on my table for days because they were just too pretty as a stack. It's a good thing that I did stop daydreaming and actually piece the HSTs and flying geese together. I am thrilled with the results. I also taught a good friend to quilt this month. My friend wanted to make two baby quilts. I told her that most people begin by sewing bibs and burp rags. She'll make an excellent quilter...she dove right into making quilts! I estimated that two strip quilts would take us four hours to make. We were going to have these done in one afternoon. Ha! Ha! Ha! I have a renewed respect on how much time is required to make even the simplest of quilts. Three four-hour sessions later (total of 12 hours), we had the two strip quilts completed! I am no longer disappointed that it has taken me all summer to finish the Sand Drift quilt. This takes time! I think we always underestimate the time it takes to finish a quilt...I know I do. Maybe it's because we're enjoying the process so much it doesn't feel like it's taking as long as it really is?? Your design is beautiful and so are your friend's quilts. It is stunning! I just love it and I can not stop looking at it either!!! Absolutely wonderful, I would stare at it all day too. 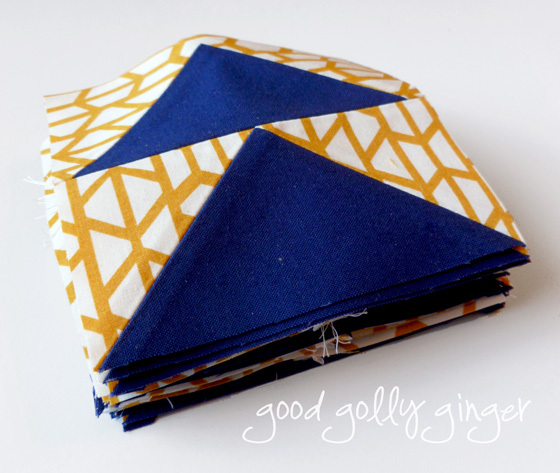 Pretty fabric, wonderful pattern, what's not to love? Quilting is definitely a labor of love. I think it is awesome that you helped a friend learn to quilt, and she really jumped in with both feet! Sand Drift is looking wonderful; the deep blue really pops! I cracked up. At first I thought you just meant 4 hours for the top, but then I read on. lol. I did the same thing - quilt first. It is just so much fun, the hours seem to go by. I love that quilt top! Gorgeous. Congrats on that and the upcoming patter/blogiversary. 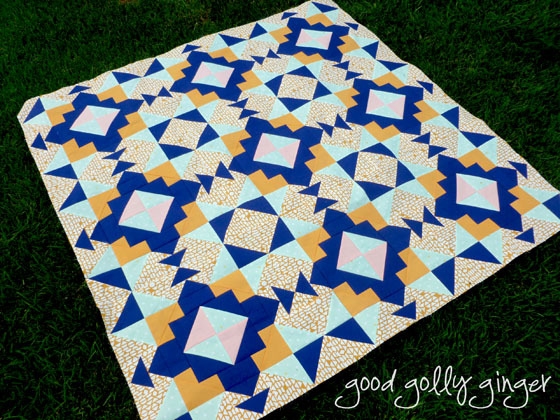 This quilt is amazing and your fabric choices are perfect. I think this is my favourite Arizona fabric project. What a beautiful quilt, no wonder your infatuated with it! It's so striking! Love your quilt! I think when you really love the quilt you've made, when you write the pattern it shows! I usually underestimate the time needed too. Also the money! 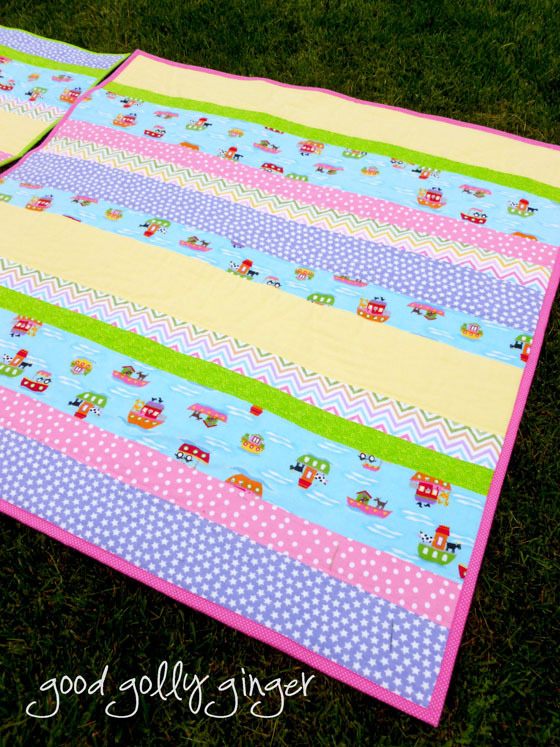 Katie, your Sand Drift quilt is so great! I love the pattern the blocks make together! That is sew nice of you to tacha friend to quilt - and yes it sure is surprising how long even the simplest of quilts take to make. She has done a great job with them! Your Sand Drift quilt has turned out amazing! And I think it's totally okay to be infatuated with your own pattern. Be proud of it! I love that you taught a friend how to quilt. They look great! My vote is that it is totally fine to be infatuated with your design. It looks fantastic! I too run very shy of the actual time required when making quilting time estimates, but you finished and are spreading quilting fun amongst your friends, so good for you! 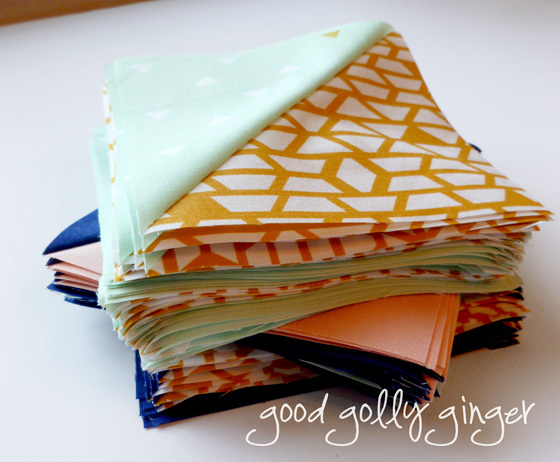 Anything worth doing takes time....right;-) I love the colors of your sand drift quilt. Thank you for sharing and pinned. Your pattern is fantastic, I love how there are 3 different shapes that pop out. 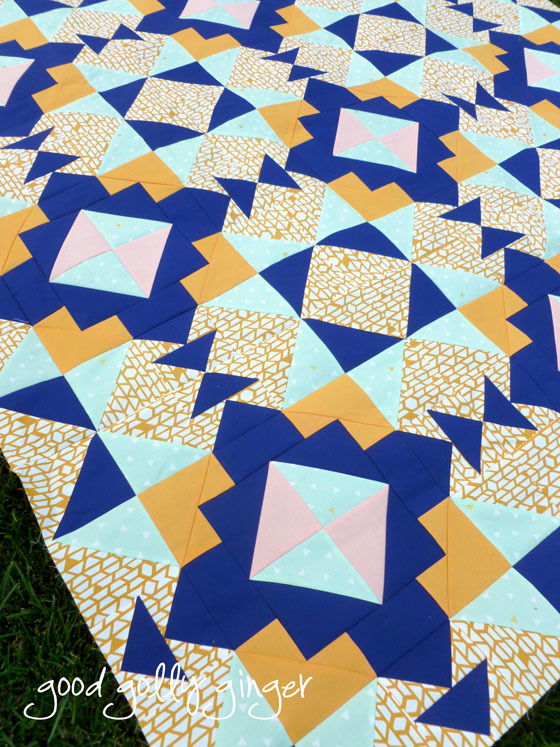 And your friend's first quilt looks great too! I love your quilt top! The Arizona fabric is fantastic, and this design fits with the fabric perfectly. I have to get a bundle of that soon! What an awesome quilt, love it! I think it's great to be infatuated with your own quilt -- you have even more reason to be okay with that when you create it! Nice job. Congratulation on such a lovely design.